Application developers, system administrators, network providers, kernel hackers, multimedia authors: these are a few of the categories of people who find that Linux has a particular charm. Unix programmers are increasingly using Linux because of its cost—they can pick up a complete programming environment for a few dollars and run it on cheap PC hardware—and because Linux offers a great basis for portable programs. It’s a modern operating system that is POSIX-compliant and looks a lot like System V, so code that works on Linux should work on other contemporary systems. Linux on a modest PC runs faster than many Unix workstations. Networking is one of Linux’s strengths. It has been adopted with gusto by people who run community networks like Free-Nets or who want to connect nonprofit organizations or loose communities of users through UUCP. Linux makes a good hub for such networks. 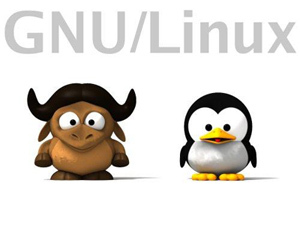 Since Linux also supports Network File System (NFS) and Network Information Service (NIS), you can easily merge a personal computer into a corporate or academic network with other Unix machines. It’s easy to share files, support remote logins, and run applications on other systems. 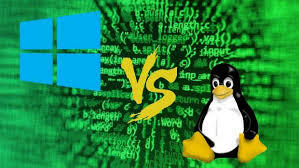 Linux also supports the Samba software suite, which allows a Linux machine to act as a Windows file and print server—many people are discovering that the combination of Linux and Samba for this purpose is faster (and cheaper) than running Windows NT. Kernel hackers were the first to come to Linux—in fact, the ones who helped Linus Torvalds create Linux—and are still a formidable community. If you want to try tuning buffer sizes and the number of table entries to make your applications run a little faster, Linux is one of your best choices. You’ll get a lot of sympathy on the Net when things go wrong, too. Finally, Linux is becoming an exciting forum for multimedia. This is because it’s compatible with an enormous variety of hardware, including the majority of modern sound and video cards. Several programming environments, including the MESA 3D toolkit (a free OpenGL implementation), have been ported to Linux. The GIMP (a free Adobe Photoshop work-alike) was originally developed under Linux, and is becoming the graphics manipulation and design tool of choice for many artists. For example, during the production of the movie “Titanic,” Linux machines (with Alpha processors) were used to render some of the trick effects. Linux has also had some real-world applications. Linux systems have traveled the high seas of the North Pacific, managing telecommunications and data analysis for an oceanographic research vessel. Linux systems are being used at research stations in Antarctica. On a more basic level, several hospitals are using Linux to maintain patient records. One of the reviewers of this book uses Linux in the U.S. Marine Corps. Linux is proving to be as reliable and useful as other implementations of Unix. So Linux is spreading out in many directions. Even naive end users can enjoy it if they get the support universities and corporations typically provide their computer users. Configuration and maintenance require some dedication. But Linux proves to be cost-effective, powerful, and empowering for people who like having that extra control over their environments.